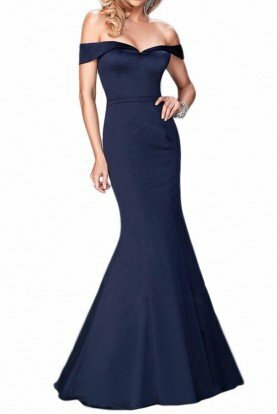 Beautifully embellished jewel neckline, this stretch satin trumpet dress Style 3245RE from Val Stefani is so stunning you cannot look away. The stretch satin fabric hugs your body, giving you a comfortable fit while still being very flattering to almost every body type. 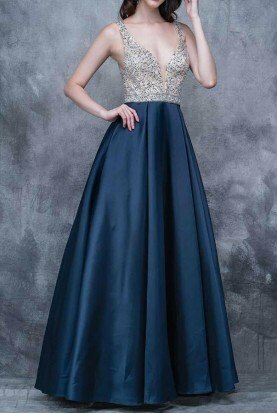 The embellishment starts from the high neckline and drapes around the arms but leaving the shoulders bare for a unique look. The keyhole back shows off your youthful skin.